How to adjust settings to accept cookies using the Firefox web browser. Firefox will most likely reset cookie settings back to default every time the browser updates itself. Please always double check the settings after an update is performed. At the top of the Firefox window, click on the menu and then select Options. Select the Privacy option on the left and Content Blocking. 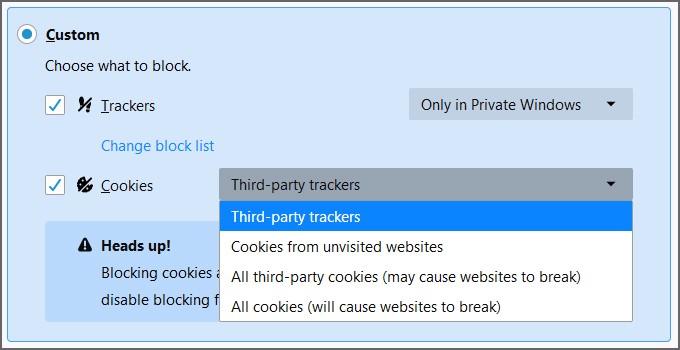 This is where you can view your setting for Content Blocking, which includes cookies. If Standard is selected, it means that you are using the default settings for content blocking and cookies are enabled. No need to adjust anything. Adjusting settings to accept cookies using the Firefox web browser on a Mac computer. 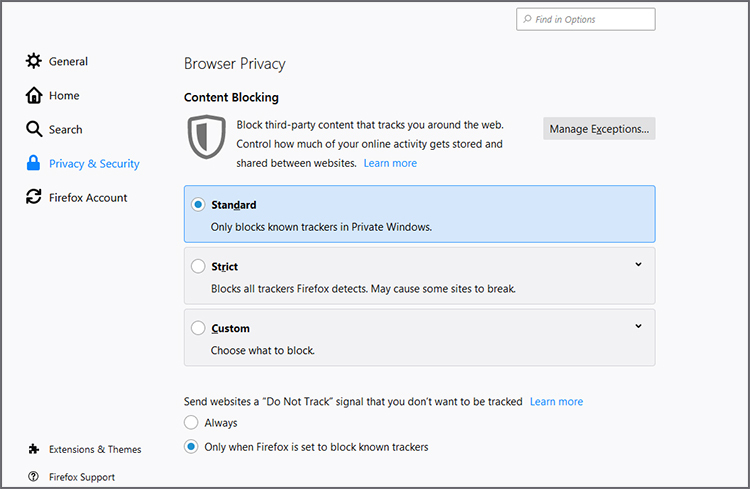 How to adjust Pop-up Blocker in the Firefox web browser.